The US and Israel will surely avoid a massive, costly land campaign again Iran, a vast, mountainous nation that was willing to suffer a million battle casualties in its eight-year war with Iraq that started in 1980. This gruesome war was instigated by the US, Britain, Kuwait and Saudi Arabia to overthrow Iran’s new popular Islamic government. The Pentagon has planned a high-intensity air war against Iran that Israel and the Saudis might very well join. The plan calls for over 2,300 air strikes against Iranian strategic targets: airfields and naval bases, arms and petroleum, oil and lubricant depots, telecommunication nodes, radar, factories, military headquarters, ports, waterworks, airports, missile bases and units of the Revolutionary Guards. Iran’s air defenses range from feeble to non-existent. Decades of US-led military and commercial embargos against Iran have left it as decrepit and enfeebled as was Iraq when the US invaded in 2003. The gun barrels of Iran’s 70’s vintage tanks are warped and can’t shoot straight, its old British and Soviet AA missiles are mostly unusable, and its ancient MiG and Chinese fighters ready for the museum, notably its antique US-built F-14 Tomcats, Chinese copies of obsolete MiG-21’s, and a handful of barely working F-4 Phantoms of Vietnam War vintage. Air combat command is no better. Everything electronic that Iran has will be fried or blown up in the first hours of a US attack. Iran’s little navy will be sunk in the opening attacks. Its oil industry may be destroyed or partially preserved depending on US post-war plans for Iran. The only way Tehran can riposte is by staging isolated commando attacks on US installations in the Mideast of no decisive value, and, of course, blocking the narrow Strait of Hormuz that carries two-thirds of Mideast oil exports. The US Navy, based nearby in Bahrain, has been practicing for decades to combat this threat. There is a lot of interesting material in this description and I think that it is worth looking into it segment by segment. First, I can only agree with Margolis that neither the USA nor Israel want a ground war against Iran: the country is too big, the Iranians too well prepared and the size of the force needed for such a campaign way beyond what the Empire can currently muster. Second, Margolis is absolutely correct when he says that Iran does not have the means to stop a determined AngloZionist (missiles and aircraft) attack. Iran does have some modern air-defense capabilities, and the attackers will sustain a number of losses, but at this point, the size disparity is so huge that the AngloZionists will achieve air superiority fairly soon and that will give them an opportunity to bomb whatever they want to bomb (more about that later). I therefore also agree with Margolis that the Iranian oil industry cannot be protected from a determined US/Israeli attack. In fact, the entire Iranian infrastructure is vulnerable to attack. Margolis’ final paragraph, however, makes it sound like Iran does not have credible retaliatory options and that I very much disagree with. 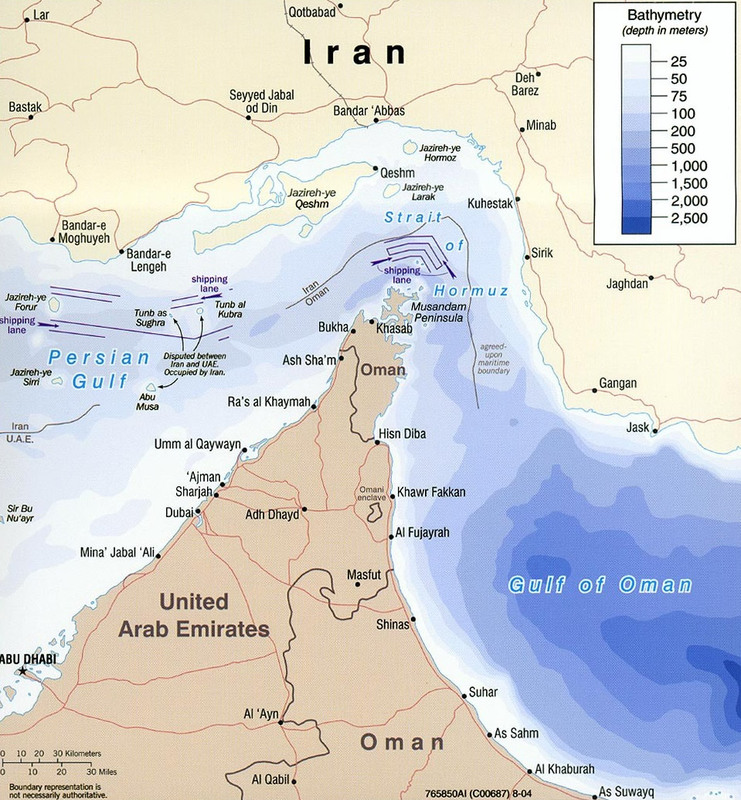 For one thing, the issue of the Strait of Hormuz is much more complicated than just “the US Navy has practiced for years to combat this threat“. The reality is that Iran has a very wide range of options to make shipping through this strait practically impossible. These options range from underwater mines, to fast craft attacks, to anti-shipping missiles, to coastal artillery strikes, etc. In fact, the mere fact of issuing a threat to shipping through this narrow body of water might well deter insurances from providing coverage to any ships and that might stop the shipping all by itself. Should that not be enough, Iran can always lay even a limited amount of mines, and that will be enough (please keep in mind that while the USN could try to engage in mineclearing operations, to do so right off the coast of Iran would expose USN minesweepers to an extreme danger of attack). While Iran may be able to interdict some oil exports from the Arab states and cause maritime insurance rates to skyrocket, it’s unlikely to be able to block the bulk of oil exports unless it attacks the main oil terminals in Saudi Arabia and the Gulf with ground troops. During the Iran-Iraq war, neither side was able to fully interdict the other’s oil exports. However, I believe that grossly under-estimates the Iranian capabilities in this context. Let’s take one example, the Iranian submarine force. For brown water operations (Persian Gulf and Strait of Hormuz) Iran has a relatively large and capable fleet of midget submarines. For green water operations (the Gulf of Oman and the Arabian Sea), Iran has three formidable Taregh/Kilo-class submarines (which are even capable of limited blue water operations, though with much less autonomy, speed, armament or sonar than a nuclear attack submarine). Just like “diesel-electric”, the term “midget” submarine makes it sound that we are talking about a toy or, at best, some primitive third world hack which, at best, could be used to smuggle drugs. In reality, however, the Iranian “midgets” can carry the same heavyweight torpedoes (533 mm) as the Kilos, only in smaller quantities. This also means that they can carry the same missiles and mines. In fact, I would argue that Iranian Ghadir-class “midget” submarines represent a much more formidable threat in the Persian Gulf than even the most advanced nuclear attack submarines could. The Russian Kilo-class submarines are some of the most silent yet heavily armed submarines ever built, and they could potentially represent a major threat to any US naval operations against Iran. However, we can be pretty sure that the USN tracks them 24/7 and that the Kilos would become a prime target (whether in port or at sea) at the very beginning of any AngloZionist attack. But would the USN also be capable of keeping track of the much smaller (and numerous) Iranian midget submarines? Your guess is as good as mine, but I personally very much doubt that, if only because these relatively small subs are very easy to hide. 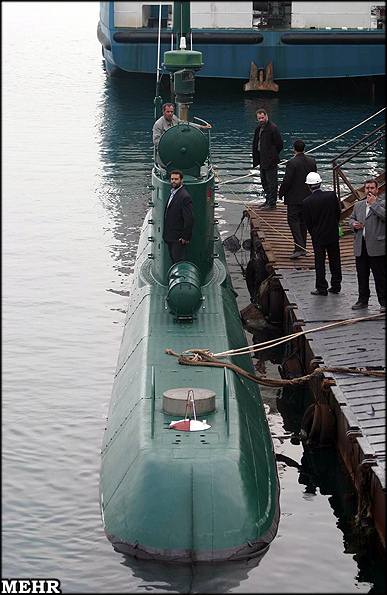 Just take a look at this photo of a Ghadir-class submarine and imagine how easy it would be to hide them or, alternatively, create decoy looking just like the real thing. Yet this midget submarine’s torpedoes could sink any vessel in the Persian Gulf with a single torpedo. While the US definitely has a lot of very capable reconnaissance and intelligence capabilities available to try to locate and then destroy these threats, we also know that the Iranians have had decades to prepare for this scenario and that they are truly masters at what is called maskirovka in Russian military terminology: a combination of camouflage, concealment, deception, and misdirection. In fact, the Iranians are the ones who trained Hezbollah in Lebanon in this art and we all know what happened to the Israelis when they confidently waltzed into southern Lebanon only to find out that for all their reconnaissance/intelligence capabilities they were unable to deal with even a relatively primitive (technologically speaking) Hezbollah missile capability. For all the patriotic flag-waving, the truth is that if the Iranians decide to block the Strait of Hormuz the only option left for the US will be to land a force on the Iranian shore and engage in a limited but still extremely dangerous offensive land-attack operation. At this point, whether this counter-attack is successful or not will be irrelevant, as there will be so much combat activity in this narrow bottleneck that nobody will even consider to bring ships through it. I also believe that Margolis is wrong when he writes that all Iran could do would be to stage “isolated commando attacks on US installations in the Mideast of no decisive value“. One very real Iranian option would be to strike US targets (of which there are plenty in the Middle-East) with various missiles. Furthermore, Iran can also launch missiles at US allies (Israel or the KSA) and interests (Saudi oil fields). The big question is not whether Iran has capable missiles, but how many exactly are deployed. Nobody really knows this because the Iranians are deliberately being very vague, and for obvious and very good reasons. 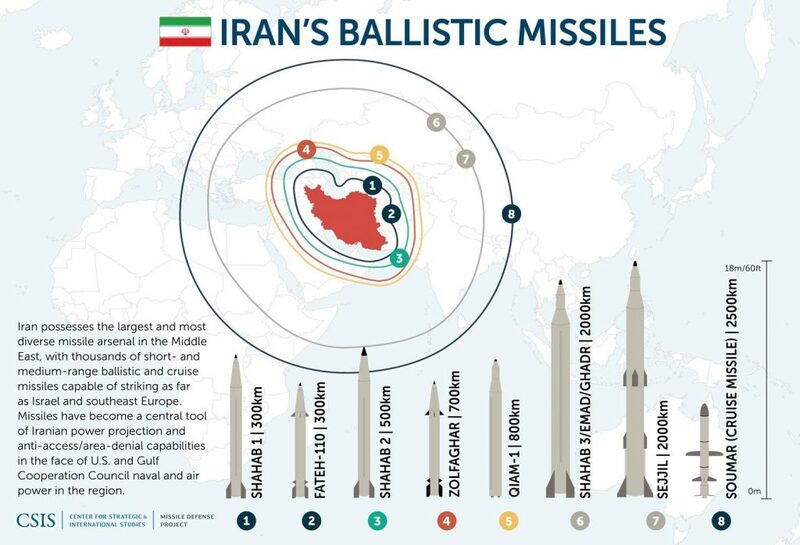 However, judging by the example of Hezbollah, we can be pretty sure that the Iranians also have these missiles in large enough numbers to represent a very credible deterrent capability. I would even argue that such a missile force not only represents a capable deterrent capability, but also a very useful war-fighting one. Can you imagine what would happen if US bases (especially airbases and naval facilities) in the region came under periodic Iranian missile attacks? Judging by the Israeli experience during the First Gulf War or, for that matter, the recent Saudi experience with the Houthi missiles, we can be pretty sure that the US Patriots will be useless to defend against Iranian missiles. Oh sure, just like the US did during the First Gulf War, and the Israelis did in 2006, the AngloZionists will start a massive hunt for Iranian missile sites, but judging by all the recent wars, these hunts will not be successful enough and the Iranians will be able to sustain missile strikes for quite a long time. Just imagine what one missile strike, say, every 2-3 days on a US base in the region would do to operations or morale! Above I only listed two specific capabilities (subs and missiles), but the same type of analysis could be made with Iranian small speedboat swarms, electronic warfare capabilities or even cyber-warfare. But the most formidable asset the Iranians have is a very sophisticated and educated population which has had decades to prepare for an attack by the “Great Satan” and which have clearly developed an array of asymmetrical options to defend themselves and their country against the (probably inevitable) AngloZionist attack. You have probably seen at least one map showing US military installations in the Middle-East (if not, see here, here or here). Truth be told, the fact that Iran is surrounded by US forces and bases presents a major threat to Iran. But the opposite is also true. All these US military facilities are targets, often very vulnerable ones. Furthermore, Iran can also use proxies/allies in the region to attack any of these targets. I highly recommend that you download this factsheet and read it while thinking of the potential of each listed facility to become the target of an Iranian attack. The usual answer which I often hear to these arguments is that if the Iranians actually dared to use missiles or strike at the US bases in the region, the retaliation by the USA would be absolutely terrible. However, according to Eric Margolis, the initial and main goal of a US-Israeli attack on Iran would be to “totally destroy Iran’s infrastructure, communications and transport (including oil) crippling this important nation of 80 million and taking it back to the pre-revolutionary era“. Now let me ask you this simple question: if Margolis is correct – and I personally believe that he is – then how would that outcome be different from the “absolutely terrible” retaliation supposedly planned by the USA in case of Iranian counterattack? Put differently – if the Iranians realize that the AngloZionists want to lay waste to their country (say, like what the Israelis did to Lebanon in 2006), what further possible escalation would further deter them from counter-attacking with the means available to them? To answer this question we need to look again at the real nature of the “Iranian problem” for the AngloZionists. First and foremost, there is absolutely no evidence whatsoever that Iran has any kind of military nuclear program. The fact that the Israelis have for years been screaming about this urbi et orbi does not make it true. I would also add that common sense strongly suggests that the Iranians would have absolutely no logical reason to develop any kind of nuclear weapons. I don’t have the time and space to argue this point again (I have done so many times in the past), so I will simply refer to the US National Intelligence Estimate’s conclusion that Iran had “halted its nuclear weapons program” and leave it at that. Any one of those features by itself would already constitute a grievous case of crimethink from the point of view of the Empire and would fully deserve a reaction of absolute hatred, fear and a grim determination to eliminate the government and people which dare to support it. No wonder that by combining all three Iran is so hated by the AngloZionists. This entire canard about some Iranian nuclear a program is just a pretext for a hate campaign and a possible attack on Iran. But in reality, the goals of the AngloZionists is not to disarm Iran, but exactly as Margolis says: to bomb this “disobedient” country and people “back to the pre-revolutionary era”. Here is the key thing: the Iranians perfectly understand that. The obvious conclusion is this: if the purpose of an AngloZionist attack will be to bomb Iran back into the pre-revolutionary era, then why would the Iranians hold back and not offer the maximal resistance possible? Because of the threat of a US nuclear retaliation? Here again, we need to look at the context, not just assume that the use of nuclear weapons is some kind of magical panacea which immediately forces the enemy to give up the fight and to unconditionally surrender. This is far from being the truth. First, nuclear weapons are only effective when used against a lucrative target. Just murdering civilians like what the USA did in Japan does absolutely no good if your goal is to defeat your opponent’s armed forces. If anything, nuking your opponents “value” targets will might only increase his determination to fight to the end. I have no doubt that, just as during the first Gulf War, the USA has already made a typical list of targets it would want to strike in Iran: a mix of key government buildings and installations and a number of military units and facilities. However, in most cases, those could also be destroyed by conventional (non-nuclear) weapons. Furthermore, since the Iranians have had decades to prepare for this scenario (the USA has always had Iran in its sights since the 1979 Revolution), you can be quite sure that all the peacetime facilities have been duplicated for wartime situations. 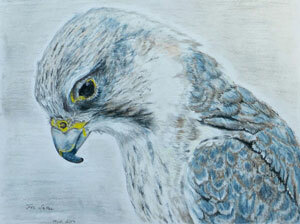 Thus while many high-visibility targets will be destroyed, their wartime counterparts will immediately take over. One might think that nukes could be used to destroy deeply buried targets, and this is partially true, but some targets are buried too deep to be destroyed (even by a nuclear blast) while others are duplicated several times (say, for 1 peacetime military headquarters there would be 4, 5 or even 6 concealed and deeply buried ones). To go after each one of them would require using even more nukes and that begs the question of the political costs of such a campaign of nuclear strikes. In political terms, the day the USA uses a nuclear weapon against any enemy it will have committed a political suicide from which the Hegemony will never recover. While a majority of US Americans might consider that “might makes right” and “screw the UN”, for the rest of the world the first use of nuclear weapons (as opposed to a retaliatory counter-strike) is an unthinkable abomination and crime, especially for an illegal act of aggression (there is no way the UNSC will authorize a US attack on Iran). Even if the White House declares that it “had to” use nukes to “protect the world” against the “nuclear armed Ayatollah”, the vast majority of the planet will react with total outrage (especially after the Iraqi WMD canard!). Furthermore, any US nuclear strike will instantly turn the Iranians from villains into victims. Why would the US decide to pay such an exorbitant political price just to use nuclear weapons on targets which would not yield any substantial advantage for the US? Under normal circumstances, I would think that this kind of unprovoked use of nuclear weapons would be quite unthinkable and illogical. However, in the current political context in the USA, there is one possibility which really frightens me. Trump as the “disposable President” for the Neocons? The Neocons hate Trump, but they also own him. The best example of this kind of “ownership” is the US decision to move its embassy to Jerusalem which was an incredibly stupid act, but one which the Israel Lobby demanded. The same goes for the US reneging on the Joint Comprehensive Plan of Action or, for that matter, the current stream of threats against Iran. It appears that the Neocons have a basic strategy which goes like this: “we hate Trump and everything he represents, but we also control him; let’s use him to do all the crazy stuff no sane US President would ever do, and then let’s use the fallout of these crazy decisions and blame it all on Trump; this way we get all that we want and we get to destroy Trump in the process only to replace him with one of “our guys” when the time is right“. Again, the real goal of an attack on Iran would be to bomb Iran back into a pre-revolutionary era and to punish the Iranian people for supporting the “wrong” regime thus daring to defy the AngloZionist Empire. The Neocons could use Trump as a “disposable President” who could be blamed for the ensuing chaos and political disaster while accomplishing one of the most important political objectives of Israel: laying waste to Iran. For the Neocons, this is a win-win situation: if things go well (however unlikely that is), they can take all the credit and still control Trump like a puppet, and if things don’t go well, Iran is in ruins, Trump is blamed for a stupid and crazy war, and the Clinton gang will be poised to come back to power. The biggest loser in such a scenario would, of course, be the people of Iran. But the US military will not fare well either. For one thing, a plan to just “lay waste” to Iran has no viable exit strategy, especially not a short-term one, while the US military has no stomach for long conflicts (Afghanistan and Iraq are bad enough). Furthermore, once the USA destroys most of what can be destroyed the initiative will be in the Iranians’ hands and time will be on their side. In 2006 the Israelis had to fold after 33 days only, how much time will the US need before having to declare victory and leave? If the war spreads to, say, Saudi Arabia, Iraq, and Syria, then will the US even have the option to just leave? 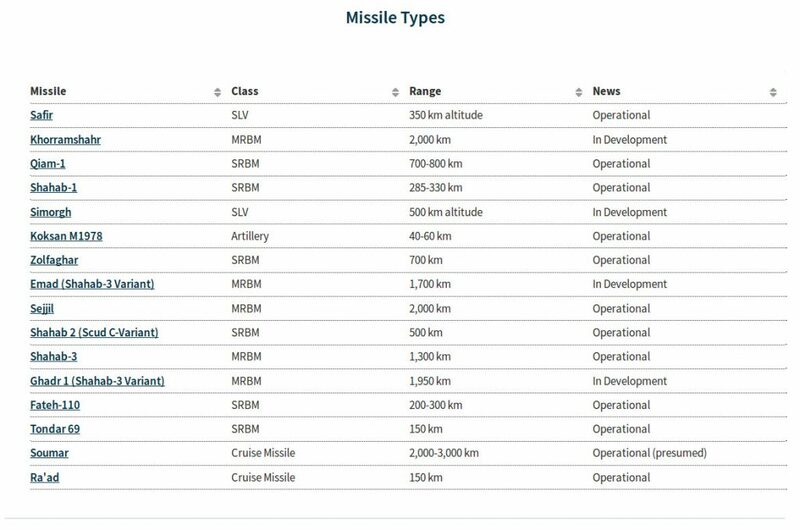 What about the Israelis – what options will they have once missiles start hitting them (not only Iranian missiles but probably also Hezbollah missiles from Lebanon!)? Former Mossad head Meir Dagan was fully correct when he stated that a military attack on Iran was “the stupidest thing I have ever heard”. Alas, the Neocons have never been too bright, and stupid stuff is what they mostly do. All we can hope for is that somebody in the USA will find a way to stop them and avert another immoral, bloody, useless and potentially very dangerous war. Good analysis. Any action in the Straits of Hormuz would likely skyrocket oil prices, which would affect China and Japan. I don't think they'll take kindly to this to say the least. Do China and Russia still have troops on the ground in Syria? Also, would Russia stand idly by and allow the US-Saudi-Israeli coalition free reign? Say if Russia sent an air convoy with reload SAMs and replacement radars, what would happen then? As Vietnam, Iraq, Serbia, Libya have all proved, "bombing them back to the stone age" doesn't win you a war, it merely provides profits for arms manufacturers in replacing used weapons, and creates a totally antagonistic populace. The only purpose of neo-liberal assaults on nations is to open up their nation for markets and privatisation, but for that to work you have to occupy the nation after you've wrecked it. Mobilsing the entire US army to do a land campaign would destroy the US economy, the Saudi army can't fight for toffee, and I can't imagine Israel creating an overseas expeditionary force to help pacify the place for the next 30 years. The neo-cons might be better waiting for climate change to kill or evict all the Iranians (and Saudis and Iraqis for that matter) and send in their drone controlled 60*C proofed autonomous drilling and mining machines into the empty spaces instead.